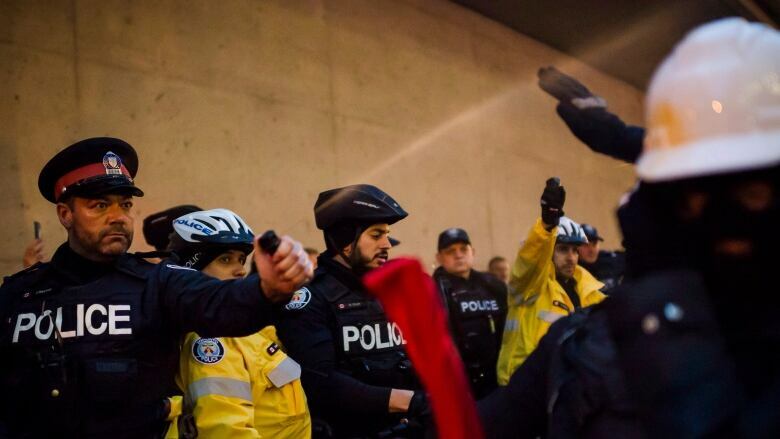 Toronto police said Saturday two officers were hurt and 12 people charged after a rally to protest a controversial debate featuring former White House strategist Steve Bannon in Toronto. Police spokesman Gary Long said the charges include trespassing, disorderly conduct and assault of a police officer. 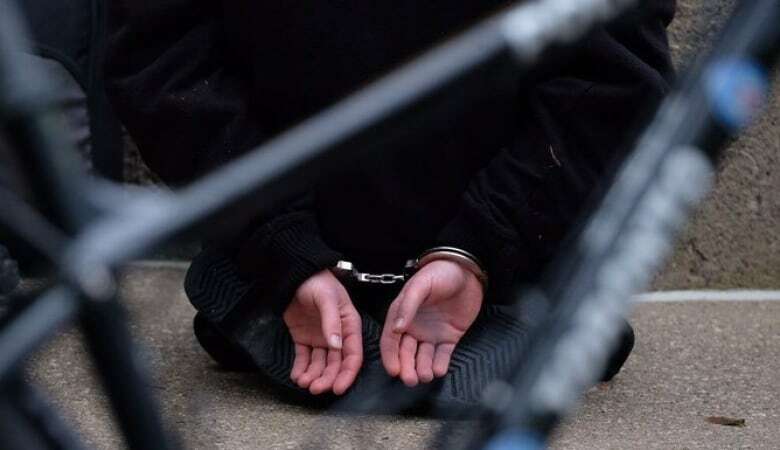 He did not identify the accused or specify what each person had been charged with. 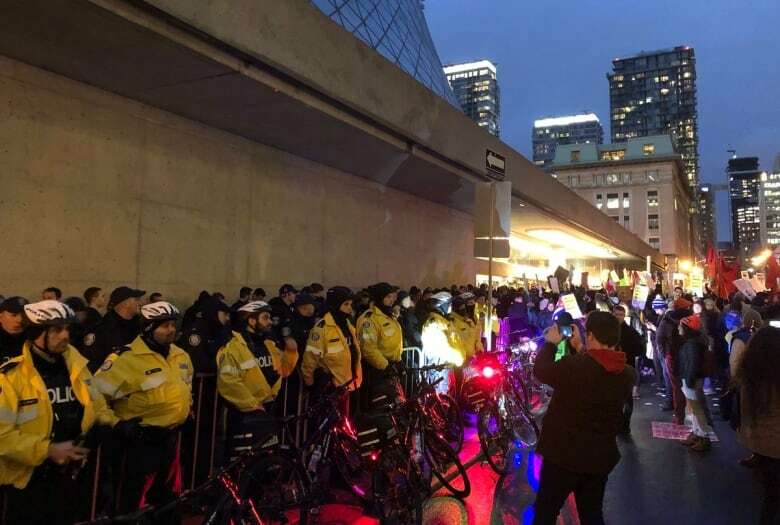 Long said one officer was punched and another was hit with a stick during the protest, which delayed the start of the debate at Roy Thomson Hall by roughly half an hour. Chanting protesters gathered outside the downtown auditorium before the event which saw Bannon and conservative commentator David Frum debate the role of populism in politics as part of the Munk Debates. Videos posted on social media showed officers outside the auditorium using batons to hold back the crowd outside, and one photo showed an officer using pepper spray. Long declined to comment on the images, saying he hadn't seen them. Bannon, 64, the former executive chairman of right-wing Breitbart News, helped Donald Trump win the 2016 presidential election and was White House chief strategist for eight months until August 2017. Some of his detractors have branded him as a racist and anti-Semite, which Bannon has rejected. During the debate, Bannon further denied that Trump or his supporters are racist, and argued populists were the true anti-fascists because fascism looks to worship the state. Frum, 58, a senior editor at The Atlantic magazine and a former speechwriter for ex-U.S. president George W. Bush, said Trump and populism should not be the answer to the issues plaguing Liberal democracy. He accused Bannon and Trump of using code words to incite antipathy toward Jews, blacks and immigrants, which Bannon denied. In the end, the debate was deemed to be a draw, with neither side swaying audience members.